Cranfield achieved an outstanding double in The Daily Telegraph Top 50 Women in Engineering under 35 (WE50), announced today. 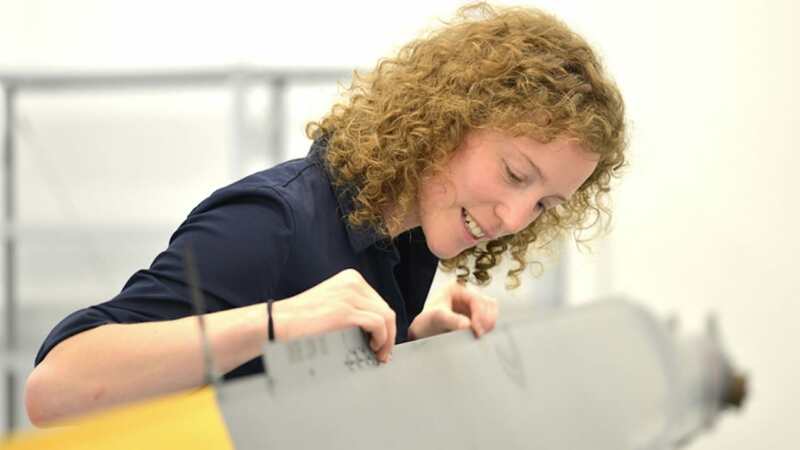 Dr Nadia Abdul-Karim, a lecturer from Cranfield Forensic Institute, and Simone Weber, a PhD student working on research at Cranfield for Airbus Helicopters, are both named in the top 50 female engineers under 35. Backed by the Women’s Engineering Society (WES), the Top 50 Women in Engineering initiative aims to encourage female uptake into engineering roles and careers by celebrating the notable achievements made by women in the sector. Attention focuses on the career opportunities available in engineering and technical roles for girls, and celebrates the achievements of outstanding women engineers. Dr Nadia Abdul-Karim teaches on the Forensic Investigation of Explosives and Explosive Devices module. Her research has both fundamental and applied aspects, with significant implications for the forensic investigation of bomb scenes. An understanding of particle movement and dispersal during explosive releases help crime scene investigators examine a bomb area where forensically relevant chemical traces may have been deposited. Also named in the top 50 is Simone Weber, a researcher studying for a PhD, who is a Technical Project Manager at Airbus Helicopters. Her study is the first time that research has been conducted that directly links aeroelasticity with operational maintenance and will assist in the development of a system that has the potential to transform helicopter safety and maintenance. The WE50 is announced in support of the annual International Women in Engineering Day on 23 June, which encourages girls into engineering careers to increase diversity and inclusion and thereby enables females to fill the substantial future job opportunities that have been predicted in this sector.